Wouldchabelieveit? Almost everywhere you look, companies are boasting of their social investments in ways that look identical. The idea that this involvement is itself newsy seems to drive communications strategies that use tired phrases (“proud partner”, “sustainable development”, “community involvement” etc.) that are properly called communications wallpaper. It doesn’t work. By copying each other and sticking to safe positioning, no-one notices what companies say, or at least not as many as would if they were a bit more original. Yet to be noticed in these messages, and even to use them to as social investments themselves, is easily done. The first step is to discipline oneself not to forget why and how development initiatives are being carried out. After all, the best social investment programmes are those in which the bulk of effort is borne by individuals and organisations “on the ground”. Telling their story, and a company’s supportive role, should maximise advantage for communities and demonstrate respect for partners. It would make a nice change which is something people tend to notice. Talking about community partnerships assists beneficiary projects by helping them to attract other support. This is because a company’s partnership with community projects gives the latter a measure of exposure and even brand strength they might not have otherwise have. Communication then become a valuable part of social investment, rather than just an add-on. They can help to spread “learnings” about what works in community development – experience that comes the hard way. And it is right that a company’s partnership with a project should be seen for reasons of benefit to the project, and to the supporting company. Common sense is the best guide. In essence, the “consumer of the message” should primarily notice the developmental project, and sense that the funding company respects the dignity of this partner, and respects beneficiaries. Instead of a “me, me, me” overpowering approach, this is one that passes the glory to local heroes of change, both because it should anyway be so, and because that is different enough from most corporate communications to sink in. Always know that corporate funders aren’t really in the business of empowering anybody – change champions in developmental organisations or institutions being funded are. Indeed, I sometimes think that the terms “empower” and “uplift” falsely and patronisingly put the credit for positive change on the funder or “giver”, whereas no amount of giving will get us anywhere unless the “receiver” is the change champion, the doer. The best that corporate social investors can hope for is to increase opportunity or to expand possibilities. The real victories come afterwards and always and only through remarkable and dedicated individuals. 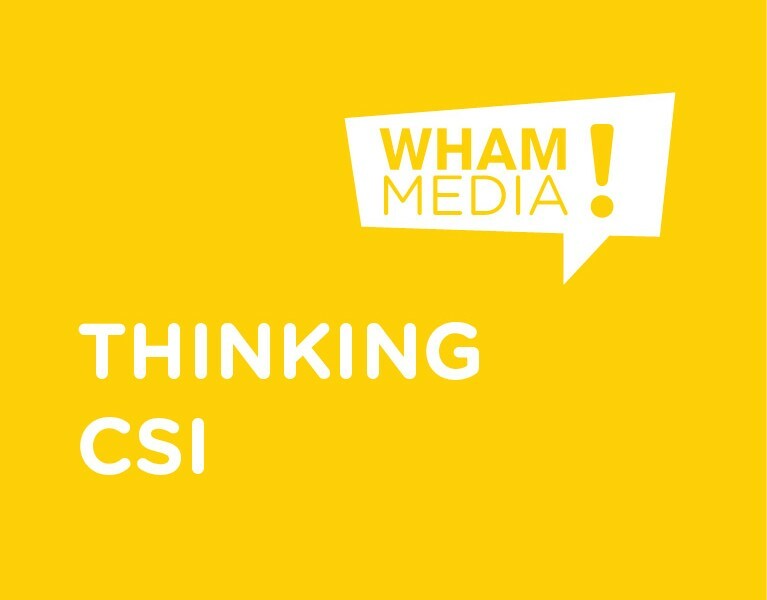 So useful CSI communications aren’t about spending x amount on a development organisation and then many times that on boasting about the fact. They’re about considered support for remarkable individuals and their organisations. It’s not the business of just responding to need. It’s about backing champions. Done properly, they’re an investment with real social returns itself.